The APASL STC Nagasaki invites companies to sponsor as shown in the prospectus which is available to download by clicking below. 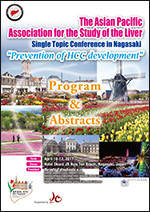 It is our great pleasure to invite you to join us in Nagasaki at the Asian Pacific Association for the Study of the Liver (APASL) Single Topic Conference in Nagasaki under the theme of "Prevention of HCC Development”. The meeting will take place in Nagasaki, Japan on April 10-12, 2017. 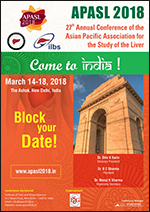 APASL STC in Nagasaki will bring together the decision makers and leaders in the fields of hepatology making this a unique opportunity for profile enhancement and networking. APASL STC Nagasaki will provide your company with the opportunity to consolidate relationships and expose your brands to key markets. We are looking forward to hearing from you. *If you have any question regarding sponsorship & exhibition, please contact follows.